Adjustable gastric banding surgery is one of the safest surgical weight loss options available for the treatment of morbid obesity. 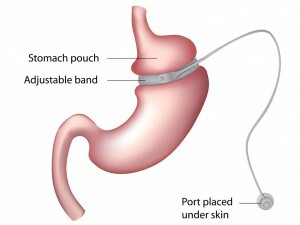 During adjustable gastric band surgery, a band made of silicone is placed around the upper part of the stomach. The band is placed by using laparoscopic techniques, making a few small keyhole incisions in the stomach and guiding the instruments with a camera. Inside the gastric band is a reservoir that can be adjusted through an access port placed just below the skin. The access port is connected to the band by a thin tube to allow for adjustments. The gastric band controls the opening between the upper and lower part of the stomach. Eating just a small amount of food will satisfy hunger while promoting the feeling of fullness. Unlike gastric bypass, there is no cutting of the stomach or intestine. If you have additional questions about gastric band and how this procedure may help you achieve your weight loss goals, or if you would like to attend a seminar, please sign up today. One of the key features of a gastric band is that it can be adjusted during a simple office visit. Your weight loss surgeon will gradually reduce the size of the opening over time with repeated adjustments, which are also known as “fills.” On average most patients have four to six adjustments within their first year after surgery and then one every year after that. Patients who have adjustable gastric band surgery can expect to lose roughly 40 to 50 percent of their excess body weight within the first three years after their surgery. Significant weight loss will occur in the first 12 months following surgery and gradually decline after that. Foods such as fibrous vegetables or doughy bread can cause stoma obstruction (stomach-band outlet blockage). The stomach may slip upwards through the band. This can occur when there is trauma to the stomach, such as excessive vomiting. Patients may experience gastroesophageal reflux, especially if the band is over-filled or too tight. 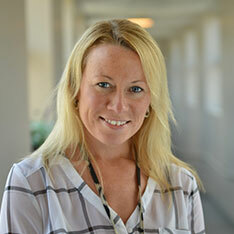 Griffin Hospital’s bariatric program is an excellent choice for bariatric surgery procedures. Our experienced weight loss surgeons, caring staff, and state-of-the-art facilities are second to none. Register for a free seminar to learn how you can achieve weight loss success. Our goal is give our patients the information they need to make an informed decision about their health care. Our skilled weight loss surgeons have provided answers to frequently asked questions (FAQs) about gastric banding to aid in your research. Talk to us today to learn more or to schedule a consultation. As with all bariatric surgeries, your health is a primary concern. 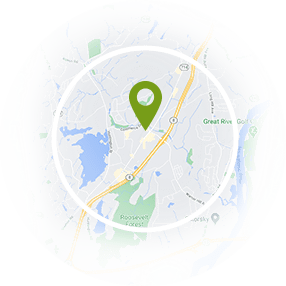 For this reason, we will carefully review your medical history to help determine which approach can best optimize your results. In general, you should have a BMI (body mass index) of 35 or more, although some patients may be eligible with a BMI outside this number if certain health conditions apply. We will also go over your concerns, answer any questions you have, and discuss what to expect before, during, and after the operation. It’s important to understand the lifestyle changes that are necessary for success, and our team is committed to helping you on your journey. Most patients return to their day-to-day schedule, including work, after about one week, although it can take up to two weeks to recover. There will continue to be a few physical restrictions after this period, but we will also work with you to begin adding in bariatric exercises to build your strength, stamina, and health. Gastric banding surgery requires the individual to be very diligent and involved in his or her weight loss experience, and we will review the methods that have proven most effective with you. Occasional band fills and adjustments will also be necessary, which we will also go over during your initial consultation. Absolutely. One of the many benefits of this technique is that the band is an implantable device that can be removed if desired. If for some reason you do not find success with this procedure, the band can be removed and another approach can be tried, depending on your needs and goals. Gastric banding typically has one of the lowest complication rates, and the hospital stay and recovery period is shorter than with some other types of weight loss surgeries, which is part of the reason so many people choose this approach. That said, if it is ultimately not right for you, other options are available. It’s not uncommon to lose about 50 percent of your excess weight. Some patients may lose more or less than this estimate. This is slightly less than with procedures like gastric sleeve and gastric bypass, but you have more control over the results with this technique. Weight loss will be gradual, with the most significant drop occurring in the first year. What if I regain weight? Your post-operative diet and exercise regimen is very important to successfully losing weight and keeping it off. If you overeat regularly, your stomach could stretch permanently, leading to weight gain. If this occurs, the band may need to be adjusted or another approach applied to lose the weight again. We will help you maintain your nutrition and fitness plan for the optimal outcome, and we can offer guidance and comprehensive weight loss support throughout your experience to limit the risk of weight gain. For more information about gastric banding surgery, contact us today or sign up for an informational seminar.